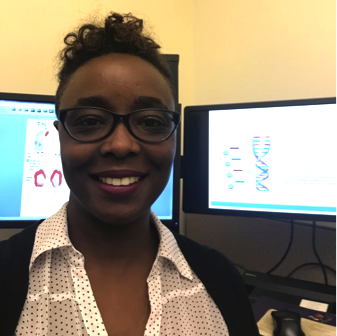 Jacquline Yancy is Senior Regulatory Health Project Manager at the U.S Food and Drug Administration (FDA) in the Center for Drug Evaluation and Research (CDER), Office of New Drugs, Division of Pediatric and Maternal Health. In her position, she provides regulatory expertise in the areas of pediatric product development under the Pediatric Research Equity Act (PREA) and pediatric pharmaceutical development under the Best Pharmaceutical for Children Act (BPCA). Before her current post, she was a Medical Device Scientific Reviewer at the FDA in the Center for Devices and Radiological Health, Office of In Vitro Diagnostics for 5 years where she was primary reviewer of pre-market medical device applications and post-marketing compliance issues (such as recalls, warning letters, establish inspection reports and imports). Prior to coming to the FDA, she worked for 6 years at a small medical device startup company as the Manager of the Assay Development Team where she led her team to develop genetic assays on a novel microfluidic device. Jacquline earned a Ph.D. in Medical Microbiology with a concentration in molecular biology from Howard University. She also currently serves as adjunct faculty at Prince George’s Community College where she teaches an Introductory Microbiology course.